On Monday, June 13, the North Manchester Historical Society is pleased to host Purdue Professor Fred Whitford, who will present a program about the history of the Purdue Extension Service. Many people in our community, from farmers to master gardeners to 4-H members, have benefitted from Extension Services. The program will be held in the Assembly Room at Timbercrest Retirement Center, 2201 East Street, at 6:40 p.m. There is no cost for the program. The Cooperative Extension Service is one of the nation’s largest providers of scientific research-based information and education. It is a network of colleges, universities and the U.S Department of Agriculture serving communities across America. The Purdue University Extension Service program provides practical solutions to local issues in the areas of agriculture and natural resources, health and human services, economic and community development and 4-H youth development. Besides 4-H, one of the best known programs is Purdue’s Master Gardener Program. Fred Whitford has authored more than 300 publications and become a popular speaker with more than 4,600 presentations given throughout Indiana and the United States. He is the Clinical Engagement Professor, Botany and Plant Pathology and Director of Purdue Pesticide Programs of the Purdue Cooperative Extension Service. 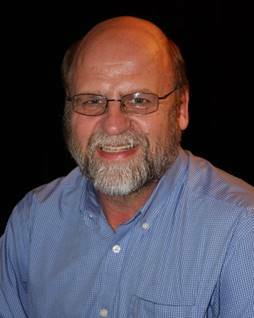 His prior professional activities include lab and field research, extension outreach, regulatory work, and commercial pesticide application. In recognition of his significant contributions to Extension outreach efforts, Whitford has received numerous awards, including the Frederick L. Hovde Award of Excellence in Educational Service to Rural People of Indiana, the Outstanding Extension Faculty/Specialist Award from Purdue Extension, and an Excellence in Extension Award from the Association of Public and Land-grant Universities. In addition, he was recently named an Honorary Master Farmer by Indiana Prairie Farmer and the Purdue University College of Agriculture. He loves working with people and seeing how Extension information can help individuals better themselves. His hobbies including writing on the history of agriculture at Purdue University, perennial gardening, and feeding birds.